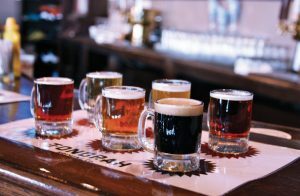 Since 2014, the Tonopah Brewing Company has made legendary house-brewed beers in a custom-made brewhouse, ranging from traditional IPAs, Hefeweizen, and Red Ale, to custom brews like Ghost Miner Stout, Stinkeye Porter, and other one-of-a-kind beers. 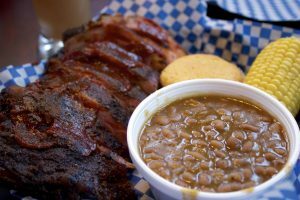 The slow-smoked southern-style barbeque is served with a variety of house-made sauces ranging in heat from mild to outrageous, and delicious sides like cornbread and coleslaw. Open 7 days a week – 11 a.m. to 9 p.m.